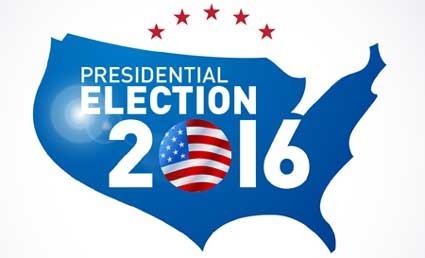 The 2016 presidential primary season has started for real–kicked off by the Iowa caucuses. But our current presidential primary system is a disaster for political discourse, for serious candidates, and for our democracy. Just listen to what passes for political debate—particularly among the 2016 crop of Republican primary candidates—and you have all the evidence you need. For candidates, it’s all about proving that they are more right-wing conservative than the next person. And it’s all in pursuit of the brass ring of winning the earliest primaries/caucuses in the most conservative states: Iowa, New Hampshire and South Carolina. And that, right there, is the problem. Because of the structure of the primary cycle, frontloaded with these ultra-conservative states, candidates feel compelled to tailor their messages to extreme right, because that’s who is motivated to come out for the caucuses and primaries. In addition, the early states have no big cities, so candidates do not feel the need to talk about the issues that concern urban dwellers: No mention of Ferguson, Black LIves Matter, Flint’s poisoned water system, etc. They are interested only in pandering to the narrow concerns of rural and small-town voters, because their votes are the ones they need to build momentum for the rest of the crazy primary season. I’ll be watching the 2016 presidential primaries closely. But I’m going to be grumpy about the whole process, no matter who comes out ahead—even if it’s somebody I like—because the system stinks. And even though I know that performance-enhancing substances are banned in other professional sports, what I think American presidential politics needs is a large dose of Human Political Grow-Up Hormone. Next Post:Survey: Does our economic system favor the rich?